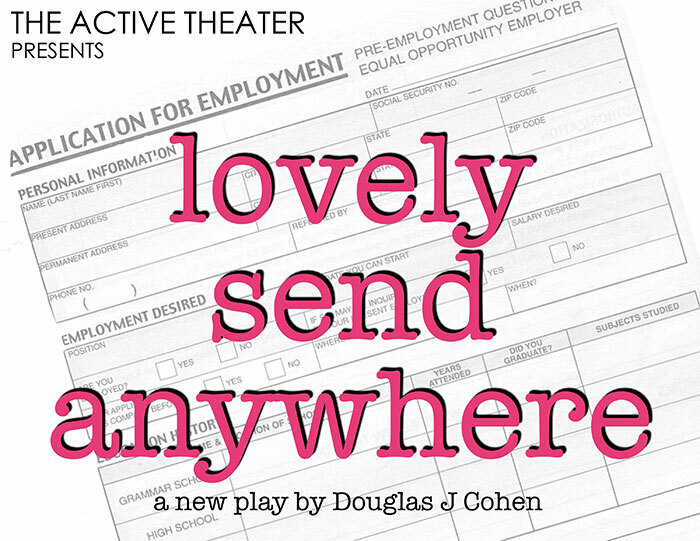 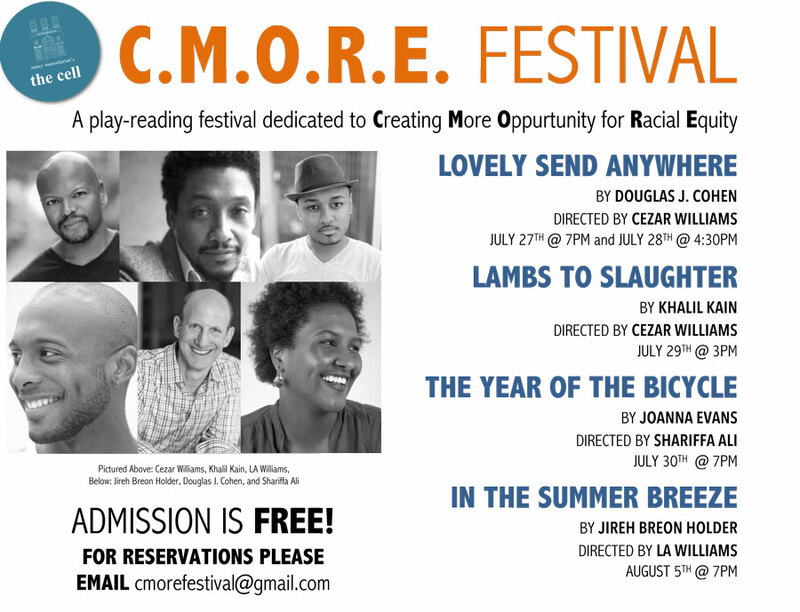 LOVELY SEND ANYWHERE debuted in July 2016 at the C-MORE Festival at the Cell Theatre, off-Broadway. 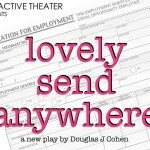 LOVELY SEND ANYWHERE also had a reading at Penguin Rep.
Off-Broadway’s, The Active Theater, chose Lovely Send Anywhere as one of two plays selected for their 2013-14 Play Development Series. 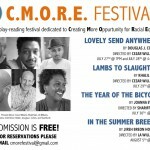 It was directed by Artistic Director, Nathaniel Shaw.